Note: I originally posted all the build information on this truck over on The Ranger Station, but that was long enough ago that Photo-bucket seems to have lost some of the older photos. So I’ve been re hosting and rewriting and re-hosting the photos on this site. 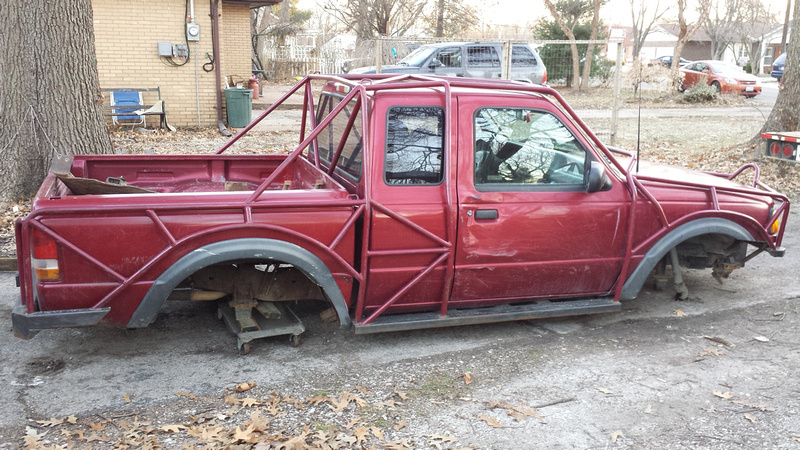 As the ’87 XJ was nearing the end of its wheeling life with me, I started looking for the next project. I literally spent several months researching what the next vehicle would be. The basic requirements were for it to have a frame, and a 5 gear. Eventually I stumbled upon Bray D’s build and my decision was made. 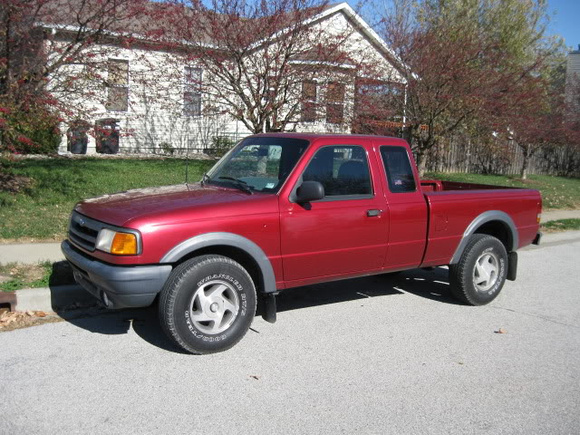 With plenty of CL surfing, I found the next build platform, a 1994 Extended cab Ranger STX with a 4.0 and a 5 gear. At 218k miles on it when I bought it, that motor was by far the quietest high mileage motor I’ve ever heard. As an extra bonus, I’m the second owner. I drove it from October 2010 and racked up about an additional 3,000 miles before I started building the truck up in 2011. I took approximately 3 months for me to finish the 1st rendition of the build, which I felt was pretty good considering the amount of fabrication that went into this thing with the Beb Bob and such. I don’t have the space to store a dedicated trail vehicle (this is a 2 car garage build in suburbia). Since most of the trips are a decent distance away, I need to not have to worry about simple mechanical failures. That also means I need to build this as bomb proof as possible with the funds available (You’ll see a contradiction on this later on). With the 4.0/5 gear combo being what it is, I’m not too worried about mechanical failure in that department. The ultimate here would be to wheel all weekend, and park it without having to do any “real” maintenance to it when I get back from a trip. I’m not one for big lifts, so I’m going to try to compact this whole package as much as possible. This should help with the on road manners. Lower package should help keep the local law enforcement happy as well. 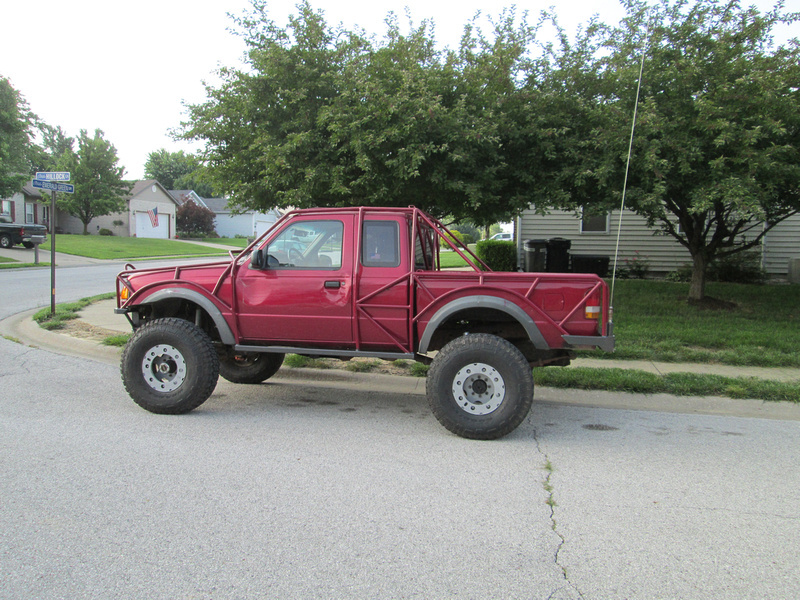 In the end, the truck met or exceeded those goals, though not without some teething issues. By the time winter 2011 was upon us, the truck was pretty well ironed out and took us on many, many adventures. 1999 Full Width E350 D60 Rear with Discs (somehow managed to find one with the right bolt pattern, the bonus is that the spindles are already large enough for 35 spline shafts if I need to go bigger). They worked, and the truck got the best fuel mileage with these gears, but I would often kill motor mounts in double low with this gear set. Gave me about an 80:1 crawl ratio which was usable, but still left me burning more clutch than I wanted. 37” Nittos on H2 rims (waaay to big for the D44, but they’ll work. A good friend did the body work for me, which was good, as it would have looked horrible if I did it myself. I tend to rub the tree’s a lot around here (see the XJ photos), so it would be nice to have some protection to allow me to open the doors after a wheeling trip. This first version of the build worked pretty well, but it could have been better. While the Dana 44 held up okay, I kept killing ball joints with the heavy wheels on it. I also managed to shear off the high steer arm at which point I’d had enough of that and jumped up to the D60 front. Its ugly, but it gets used hard every trip out. This version of the truck worked extremely well. In fact, so well it made some of the obstacles out here too easy. I was often trying the hardest lines I could find just to get a bit of a challenge, and the truck would just keep on rocking through them. The biggest draw backs of this version was that the low belly height and long wheel base often meant that some ledges would wind up denying me. The other hang up was the 14 bolt with 37’s, there just wasn’t that much clearance in the rear when aired down. In the end, there really weren’t many things I would have done differently on this build, though I should have started with an Explorer 🙂 Even after 4 years of hard wheeling, the thing was still remarkably solid yet so I was sad to put it down. Here are some thoughts on it after living with it. Lots of flex on short leaf springs means that the bushings tended to get munched quickly. The wagoneer springs package real nice, but you can’t get them with a military wrap unless you get a custom pack made. That said, I never did bend my crown replacement pack, so it’s not a huge issue. I originally thought that I would be able to keep the whole ranger package around the 5,000 lb mark, so I was a bit surprised when it frequently scaled in the 6,500 lb mark (once as high as 7,800 lbs!). I think there were times I was denied on some of the obstacles solely due to the weight of the truck. Also keep in mind that the heavier things are, the more likely you’re going to need the bigger components (one ton axles). Having said that, these things are pretty heavy from the get go so there is only so much you can do. I tried to make the D44 front work and it just wasn’t happening. While I never killed a shaft in the 44, I just couldn’t keep ball joints in the thing, the combination of a heavy wheel combo and the weight of the truck would just murder them. So if you plan on running 35” tires or larger on one of these trucks (extended cab/exo/skids), you’ll probably be money ahead by jumping into the one ton world. The counterpoint is that if you managed to keep things lighter, with a less heavy wheel packaged (reg cab/No exo/minimal skids), you can keep a D44 alive. I’m still on the fence with the 14 bolt. Its main selling point is the cheap factor. But it is often a boat anchor, so running another axle out back may not be a horrible choice. People knock the Rear D60, but I never had any issues. Running both 4.10’s and 4.88’s, I’d have to say that the 4.88’s were better. With the doubler, and M5OD transmission, it put my crawl ratio over 100:1 and gave me some good trail running ratios as well. Mileage did drop with the jump in gears as well (14.5 mpg with the 4.88 and 15.5-16 with the 4.10’s), but the drive-ability went up considerably. It’s also worth mentioning that the 4.0 will run down the highway all day long at 2500 rpms without a care in the world, and I killed less motor mounts with the 4.88 gear set compared to the 4.10’s. Quite simply, if you’re going to play in the rocks with a manual transmission, you need one. Way more throttle control and much less clutch burning. I was one of the rare ones that didn’t have any issues ordering from Duffy at D&D. Yes there were a few issues in the beginning, but after those were ironed out, the thing performed perfectly. I’m very glad I did this swap. There are a lot of complaints about these tanks hanging down too low, and I found that never to be the case. Certainly not enough of a case to ever cause me issues on the trail, and the extra range was worth any issues it could have caused. For reference, the tank doesn’t hang any lower than the typical Jeep Cherokee tank (XJ), and is certainly more tucked up than a TJ tank. If the Jeep folks can live with low hanging tanks, then you shouldn’t have any problem either! I never felt the need to run hydro assist on this truck, and in fact several of my jeep friends (with hydro) often commented on how easy my truck was to steer. It would have been nice to have a small ram to take some of the load off of the box, but I can honestly count on one hand the number of times that hydro assist would have helped. And I’m not certain that I wouldn’t have broken something while bound up during those times with hydro assist. Keep in mind that Ford used the same steering box on the F350 that they used on the Rangers. I will say that adding a power steering cooler did help quiet down the pump whine quite a bit on the hot days. As a whole, this is a great platform to start out with. 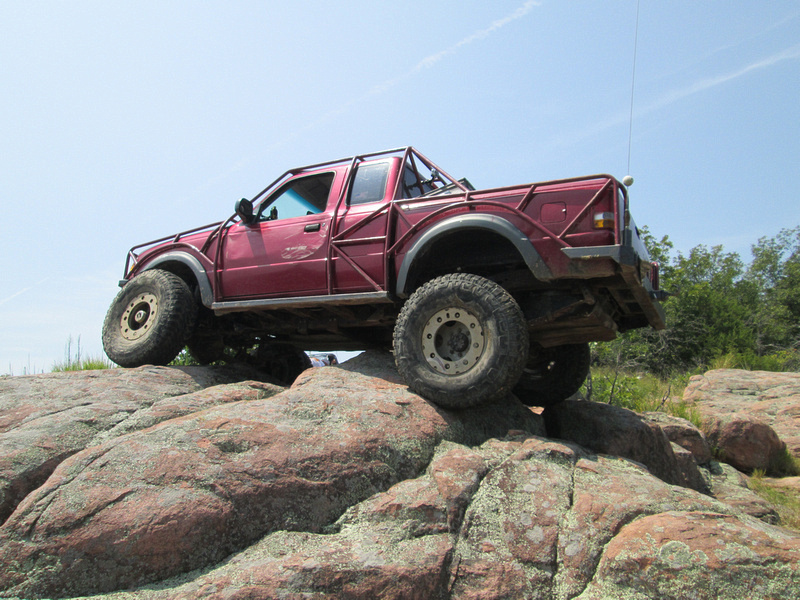 The truck was driven to and from the trails, and wheeled HARD for the past several years with no ill effects. No cracks in the frame, no funky body panel fitment, and the A/C even still worked! The only real weak link in my opinion was the manual transmission (some folks never have issues though). Build and Explorer! 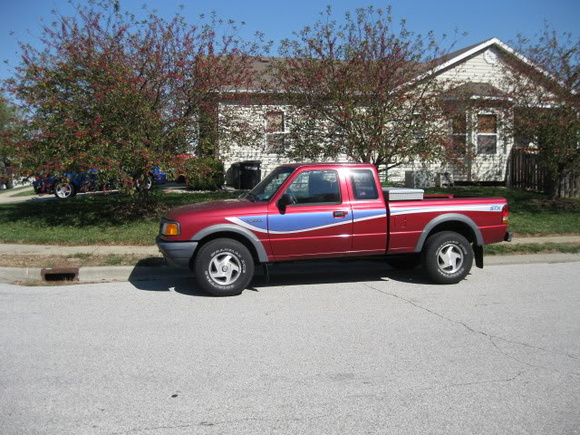 Seriously though, the only reason this truck had to be put down was due to the lack of space for my growing family. 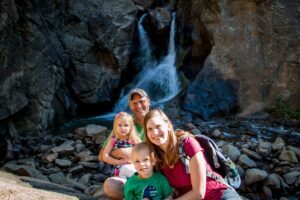 If I had started with an explorer, we’d still be rocking along right now, so consider future growth in your plans if your family is inclined to go with you. The other things I would consider doing differently would be to run a different style of track bar, and shorten up the wheel base a bit more (I was at 113” ish). It got old crawling under the truck to remove the track bar before and after wheeling. And the wheelbase was just long enough that I would belly out on several obstacles, and the rear drive shaft took quite a few hits due to it being so long and low. I really don’t want to think about how much I have wrapped up in replacing rear drive shafts! 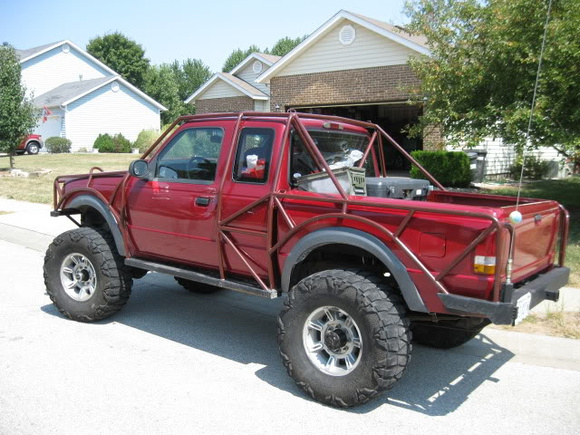 I would also consider building a smaller version of the truck. While it was fun to have the “big boy” axles and tires, it turned out to be a bit over kill for the Midwest wheeling I typically do. In a nut shell, most of the obstacles out here became rather easy once the truck was completed. So I found myself taking harder and harder lines to keep things entertaining. To the point that I would run any trail other than the “Rock Bouncer” type trails (not my bag). In running around in this Baby TJ, I’ve found that the easy/mild trails are fun again and I’m being forced to pay attention and work to wheel whereas in the truck it was very point and shoot. So keep in mind that bigger is not necessarily better. So for now, we’re running around in a Cookie Cutter TJ since it was an “Instant Family Wheeler” and got us back out on the trails quickly. I foresee us going back to a RBV platform in the near future though as the Jeep doesn’t do the road time as well as we need it to. Edit: The cookie cutter is gone, and The Merc is getting built.